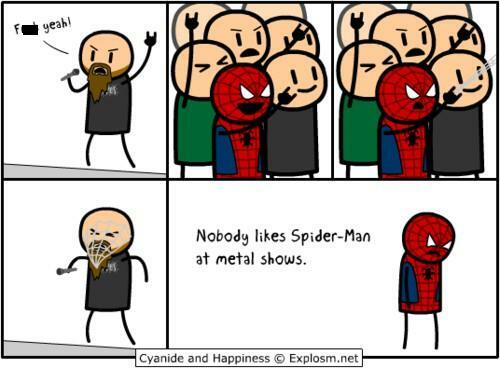 You know what, Spidey... if I were you, I'd go to a Justin Beiber concert and do that. Haha! LOL! But poor Spidey... rejected..